List of medicinal products with marketing authorisation and list of medicinal products which may cause risks. List of medical devices with certificates of registering in the Registry of medical devices. 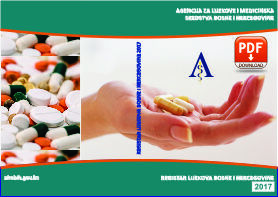 Register of manufacturers of medicinal products and medical devices in Bosnia and Herzegovina. 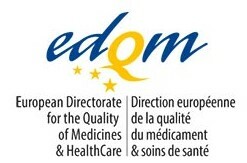 Registers of wholesale distributers of medicinal products and of medical devices in Bosnia and Herzegovina. News, announcements and information about clinical trials. Telephones 0-24h, only in emergency cases which could cause a recall of medicinal product. The Agency for medicinal products and medical devices of Bosnia and Herzegovina was established by the Act of medicinal products and medical devices (“Official Gazette of B-H, no.58/08”) as an authority in the area of medicinal products and medical devices used in medical practices in B-H. It started with its work on 01 May 2009.